Welcome to the world of unlimited possibilities and opportunities that the field of photography can introduce you to! 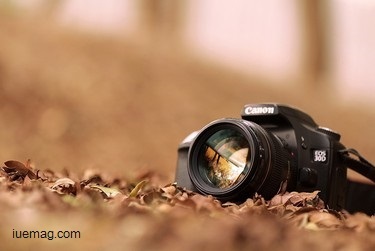 Photography is a science, art and practice of creating durable images by recording light or other electromagnetic radiation, either electronically by means of an image sensor, or chemically by means of a light-sensitive material such as a photographic film. This is also a way of making a picture using a camera. A person who makes pictures using a camera is called a photographer. A picture made using a camera is called a photograph or a photo. There are various kinds of photography such as plate, color, black and white, film, digital and synthesis photography. Usually, photography is termed as a hobby. The globalizing world defines photography as more than just a hobby. It is an act of remembering the past events by looking at them and makes us appreciate history. Photography is helpful in legal proceedings. For instance, during investigation of the crime scenes where photos are taken to produce as evidence. The media often uses photography as a tool to convey messages. Photography relates the present with the past situations. The film and entertainment industry uses Photography skills to produce videos, films or pictures. With the advancement of technology, one can create amazing visual effects too. Photography also helps in publication purposes. Photographers photograph the fashion world and publish them for the world to have a glimpse of them. It also has a wide range of career opportunities in the fields of travel and journalism. It has medical applications too and is used in X-rays and body scanners. Any facts, figures or references stated here are made by the author & don't reflect the endorsement of iU at all times unless otherwise drafted by official staff at iU. This article was first published here on 5th June 2015. Vaibhav is a contributing writer at Inspiration Unlimited eMagazine.